I am pleased to announce that the Memorial Library of Nazareth and Vicinity will be joining SPARK! 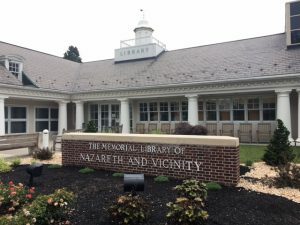 Located in the Lehigh Valley region of Pennsylvania, Nazareth is, famously, home to the Martin Guitar Factory. Welcome Nazareth!